You are eating a hot dog or digging into a carton of your favorite ice cream. You don’t even think there could be a piece of plastic or metal or just small particles of these materials in there- broken or worn off from the machinery and tools used to get your favorite foods to your grocers’ shelves. But many of the food processing machines and tools used to provide food products have plastic parts in them or are made of plastics. For example, foods like melons, peaches, carrots, strawberries or apples can pick up plastic particulates from plastic tote bins or containers that are damaged or worn. Such foods as olives in a vat can mix with tiny particles from a plastic shovel or scraper as they wear. Metal parts from machinery can break off or wear and enter the food supply. So how can food processers know if there are plastics, metals or other foreign bodies in the foods they sell? Food processors and packagers work in a very highly regulated market that requires meeting international standards such as the EU as well as U.S. FDA standards. These include the meat, dairy, cheese, pasta/dough, and sweets processing industries as well as bottling of all kinds. 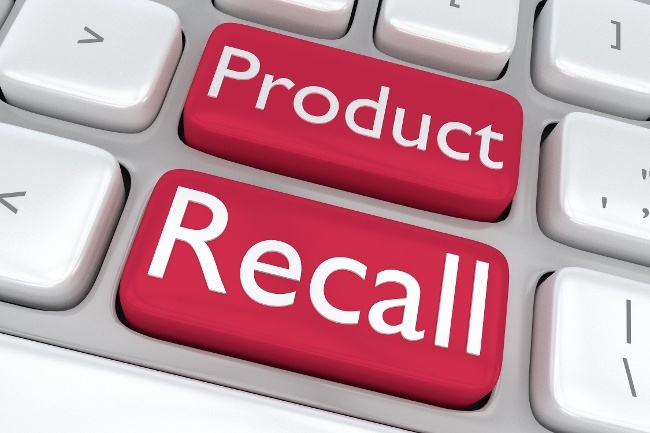 The U.S. Department of Agriculture and Inspection Service can and has issued expensive recalls of food products for particulate contamination. The media attention, drop in stock price, and loss of consumer confidence that follows can be very costly to a firm. So it is in the best interests of food producers to ensure food safety. Thus food producers, processors and packagers often use metal detectors and x-ray machines to find pieces or particles of metal, plastics, rubber, or other unwanted contaminates in their products. These have been traditionally part of processors’ HACCP or Hazard Analysis Critical Control Point. Some plastics found in foods are not detected by a metal detectors and may be too small to be picked up by an x-ray machine. So more and more plastics and metals are being replaced by metal detectable plastics to ensure the quality of our food sources. Metal detectable plastics are being used in the industry for cable ties, shovels, ear plugs, pallets, measuring cups, hand scoops, food hoes, mixing paddles and parts for food processing and packaging machinery. All resins, including thermoplastics and thermosets, can be made metal detectable using additives at an affordable price. These additives make the material magnetically susceptible enough so that it is conductive and unwanted particulates can be detected with standard metal detectors or x-ray machines. Additives allow for detection of very small particles as small as 27mm3. Plastics such as polyethylene (UHMW), polypropylene, polycarbonate, PEEK, nylon (PA6), acetal and others can be treated with these additives. Detectable plastics are most often blue which is achieved by using gray additive. PEEK and PE-UHMW however are dark grey. PEEK Metal Detectable material is used in applications where high line speeds require high wear resistance or where operating temperatures are higher than130°C (266°F). Not all metal detectable plastics allow detection by x-ray. Acetal and PA6 do but PEEK does not. 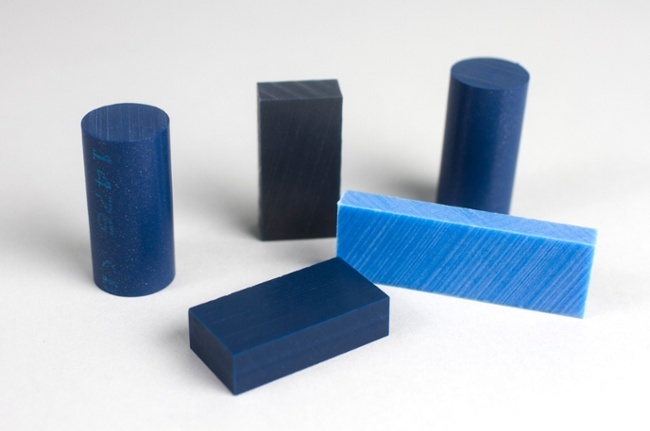 The blue color of the metal detectable acetal and nylon allow visual detection. Generally, the plastics are impact resistant with the result that there is less breakage of highly stressed plastic parts in process and packaging machinery and tools. So the next time you are digging into that pint of delicious ice cream or roasting hot dogs on the grill – just enjoy them. 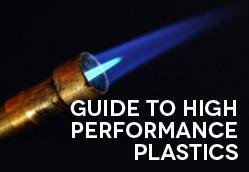 Interested in learning more about plastic materials? Download our free guide! Google Quadrant Plastics – they could help you. It’s great that this article explains how metal detectable plastics are good for various industries from food processing to measuring cups. If someone works in this industry, it would probably be a good idea to use items that are made of this type of plastic, such as metal detectable pens. This could ensure that they can be found in case of a problem to get the issue fixed early on to prevent it from getting worse. Erika – Thanks for reading and commenting on this Craftech post.